Some residents fear a plan to to close 37 Philadelphia schools could spark violence against rival neighborhoods suddenly thrust together in a common school building. 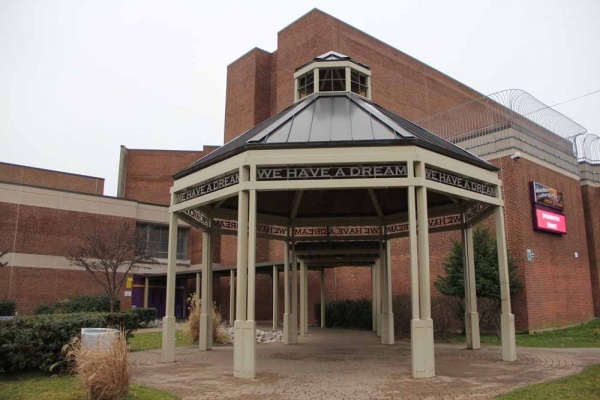 In Northwest Philly, particular attention is paid to the merger of Germantown and Martin Luther King high schools. Brickyard. Dogtown. Haines Street. Somerville. For thousands of teens in Northwest Philadelphia, the names signify a potent mix of neighborhood loyalty, turf rivalry, and gang conflict that has been passed down for generations. The 15-year-old hails from Brickyard, in lower Germantown. Melton says he’s fought kids from Somerville, on the other side of Chew Avenue, dozens of times. The first fight happened when he was 6. “Some boy started poppin’ fly, like ‘Y’all from Brickyard. Why you down here?’ So my cousin, he just hit him,” said Melton. That’s just the way things are, he said. 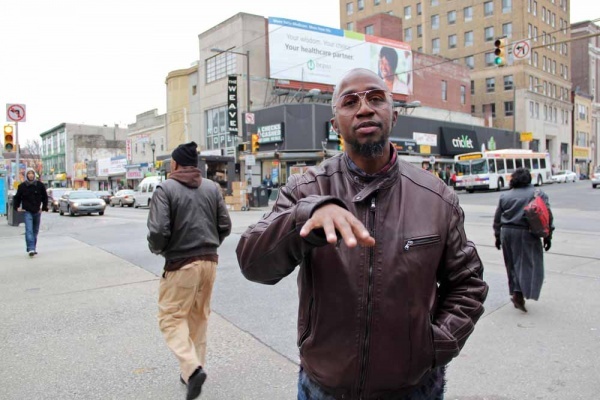 For decades, that mindset has helped fuel violent neighborhood beefs across Philadelphia. Now the School Reform Commission wants to close 37 schools, making those rivalries a major source of concern. Officials say the unprecedented downsizing will save $28 million per year and allow the school district to improve the schools that remain. But to make their plan work, thousands of students will be forced to cross turf boundaries, then sit in class alongside neighborhood adversaries. Many in the city are questioning how school closings will impact academics, budgets, teachers, and surrounding communities. But safety has been the overriding concern. In Northwest Philly, Germantown High would be closed. Hundreds of teens from Brickyard, Somerville, and at least half a dozen other neighborhoods would be thrust together inside Martin Luther King High. Strawberry Mansion, Vaux, University City, and Bok Technical high schools would also be closed, creating similar dynamics in North, West, and South Philly. “It’s a potential powder keg,” said Kelley Hodge, Philadelphia’s safe schools advocate. District officials downplay such concerns, saying today’s neighborhood rivalries don’t compare to the gang warfare of the 1970s. But in barbershops and rec centers, on street corners and inside law enforcement circles around Northwest Philly, people are nervous. They warn that almost anything can ignite neighborhood feuds. They say the district seems not to recognize that it’s about to create the biggest spark in decades. And many accuse school officials of not reaching out to the people at the grassroots level who understand the city’s youth violence epidemic and who might help avert problems. 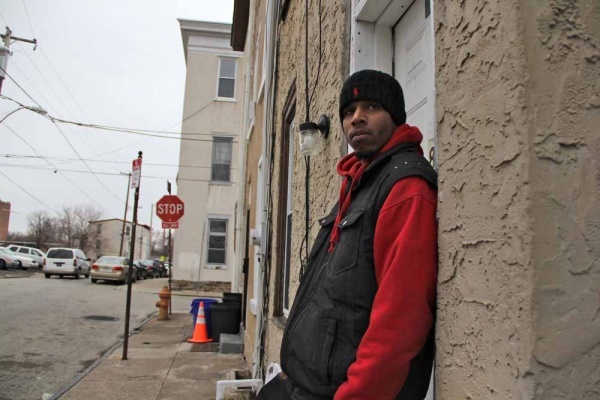 “The school district has not put together a strategy to prevent young people from responding violently to each other,” said Malik Aziz, a Philadelphia-based gang specialist and trainer for the National Gang Crime Research Center. There is some evidence to support the district’s optimistic view. Waterview Recreation Center sits a couple of blocks from Germantown High. 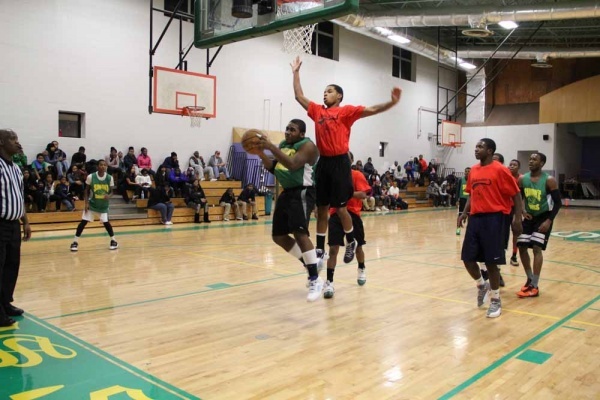 On a chilly January evening, the center’s 16-and-under basketball team trekked up Haines Street for a game against Simons Recreation Center. Simons is near King High. With under five minutes to go, the game was tied. 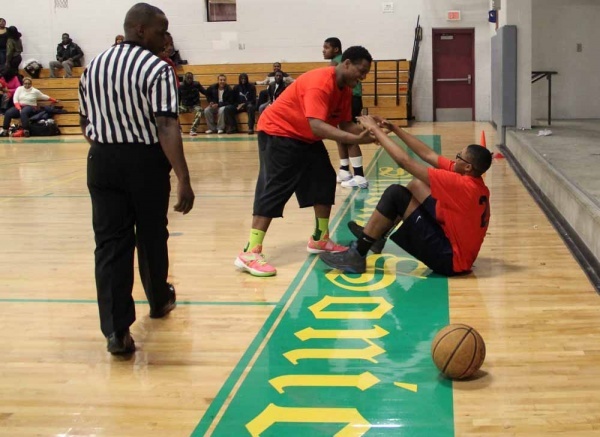 A Simons player leveled a Waterview player with a hard foul. After the game, players casually slapped hands. Gang violence from back in the day is ancient history for today’s kids, maintained Waterview’s Khalil Billa. 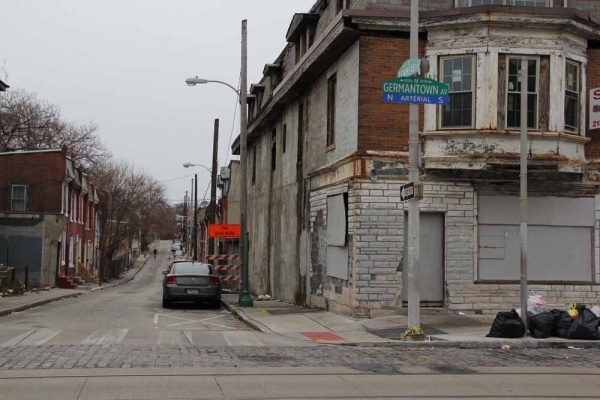 The second-year principal at King swears the Brickyard-Haines Street-Somerville battles that scarred Northwest Philly 40 years ago are no longer an issue inside his building. Enrollment drain is one of the major reasons the two schools are slated to merge. Roughly 6,300 public high school students live in the combined attendance zone of Germantown and King. More than 5,000 attend charters, selective admission schools, or schools in other neighborhoods. If Germantown is closed, Melton won’t be “reppin’ Brickyard” inside King next year. He already opted out of his neighborhood school to attend Roxborough High. “I just wanted to avoid problems,” said Melton. 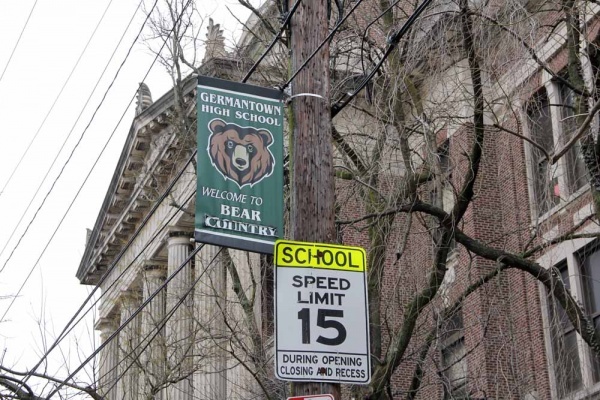 Under the District’s school closing plan, current Germantown students will be given the option to attend either Roxborough or King. Some will likely apply for special admission schools or charters. King’s total enrollment probably won’t exceed 1,600. Wade isn’t losing any sleep. “I know we can handle it,” he said. Then why are so many others so worried? Driving through Germantown, Reggie Hall stops on the 5200 block of West Clarkson Street. He nods toward a boarded-up brick row home. The letters “TBK” are spray-painted on the wall. “Terrace Born Killers,” says Hall. It’s one of at least eight neighborhood-based gangs in the area. For almost a decade, Hall has been a community support specialist for the city’s Town Watch Integrated Services. 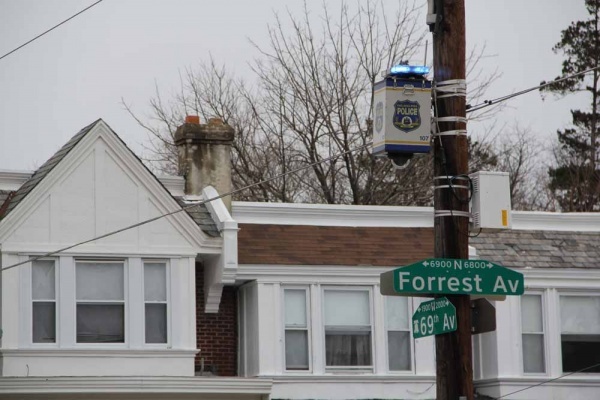 He works Northwest Philly, defusing potentially violent conflicts when he can, intervening afterwards when he can’t. Navigating the neighborhoods around Germantown and King, he points out otherwise invisible turf boundaries. “Once you cross over this stoplight, you’re in Somerville territory,” Hall says at the corner of Wister Street and Chew Avenue. “This is the part of the city that I grew up in,” says Hall, now 45. It’s his job to know what’s happening in the streets he used to run. He says that Terrace Born Killers, Haines Street Hustlers, Dogtown Hustlers, and Brickyard Mafia claim turf below Chew Avenue, in Germantown. The streets above Chew, in West Oak Lane and East Mount Airy, are home to Somerville, Bad Company, Bad Intentions, Goonies, and 1-4. Somerville itself comprises shifting factions like Bottomside, Topside, and Homicide Squad. Now, Philadelphia is not like many other big cities, where gangs are large and highly organized. In Chicago, for example, a Commission on School Utilization recently recommended against closing any more high schools, to avoid more violence. 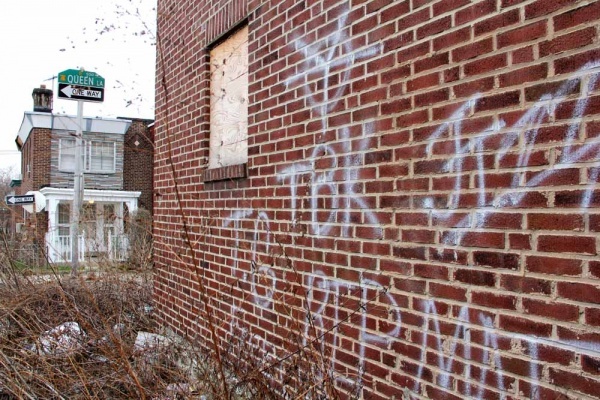 But Philadelphia’s neighborhood-based “cliques” or “crews” still will fight — and shoot — to protect their turf and reputation. On the record, police officials in the Northwest discuss the problem cautiously. “The bottom line is if they identify as a gang, we have a potential issue,” says John Fleming, the captain of the 14th Police District. Speaking for background, but not to be quoted, law enforcement sources confirm that the groups identified by Hall are an active, if disorganized, threat to public safety. Everyone agrees the groups are responsible for many of the 339 juvenile assaults and five juvenile shootings in the 14th District last year. Everyone agrees that things have been pretty quiet recently. But a lot of people say it wouldn’t take much to start up a new round of violence. “It can go haywire at any time,” said Aziz, the gang specialist. That’s why the school-closings plan has people on edge. They worry that sending hundreds of kids from Germantown into King will mean more frequent interactions between the groups. And they fear the merger will provoke all the groups below Chew Avenue to join forces for protection, prompting the groups above Chew to respond in kind. Hall says that’s what happened in 2007, after the District closed Ada Lewis Middle School. The majority of the Ada Lewis students were from Somerville. They were sent into Roosevelt Middle School, where the kids mostly lived in Brickyard, Haines Street, and Dogtown. That year, Roosevelt’s enrollment went up 39 percent. Reported serious incidents went up 144 percent. Reported assaults on students and staff went up 143 percent. 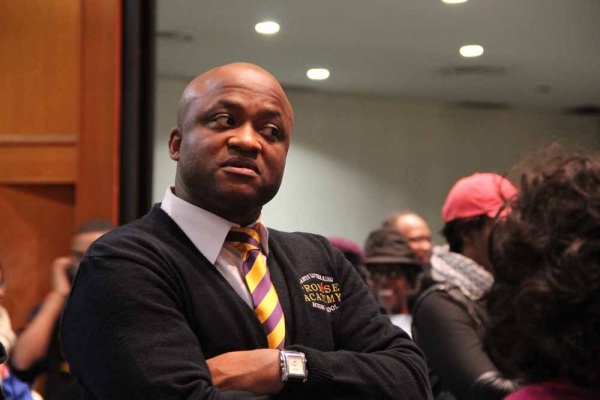 “Kids would just randomly walk into classrooms and start fights,” said Donald Malcolm, a 15-year Roosevelt veteran and the school’s current dean of students. Asked what they learned from Roosevelt, district officials had no answer. “For that, I wasn’t at the School District,” said Chief Inspector Dorsey, who has been on the job for three months. Asked which on-the-ground experts district officials are consulting as they prepare to send roughly 500 Germantown students into King, Dorsey struggled to give specifics. “I have reached out to folks. We need to do more of it. Especially in the high schools,” she said. Dorsey, a 28-year veteran of the Philadelphia Police Department, is not unaware of the city’s gang problem. She said the school system asked the department’s criminal intelligence units to review each proposed school closing, then report on possible gang and neighborhood conflicts that could be sparked. The district would not release the intelligence report on Germantown and King. Nor did officials offer any evidence that the report has informed any nuts-and-bolts planning at the schools. King’s principal said he hasn’t had any formal meetings about the potential influx of Germantown students. “It’s on our agenda,” said Wade. When the time comes, said Wade, his strategy will likely focus on academics, including expanded opportunities for disruptive students. Eventually, his team will suggest how to create safe corridors to and from school. He hopes to contract with outside mentoring groups and hire more conflict-resolution specialists. Wade doesn’t know any details about what resources he’ll be provided to make his plan work. He said preparations will pick up in March or April, after the School Reform Commission votes on the final school-closing recommendations. As many as 17,000 city students could be assigned to new schools next September. Thousands more will deal with a wave of new students into their current schools. Raekwon Canty is a 10th grader at King. 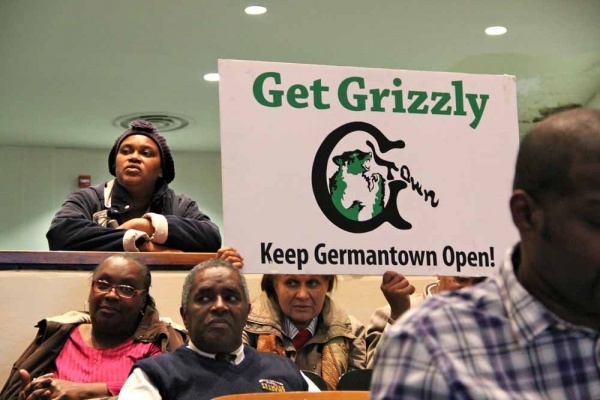 He was watching TV when he heard about the district’s plan for Germantown. “They want us to kill each other,” he thought. Canty hopes to go to college, but he expects next year to be lost to fights. “If people have been going to King for so long, then other people try to come and take over? They’re not having that. I know I wouldn’t,” he said. Experts say the district must disarm that mindset in order to close schools safely. “You need to start the conversation and the intervention now, so when September rolls around, you’ve invested nine months of interaction,” said Anthony Murphy. As the executive director of Town Watch Integrated Services, Murphy oversees 700 town-watch groups and a couple of hundred safe-corridors programs around the city. Chief Inspector Dorsey said she was scheduled to meet with him in late January. 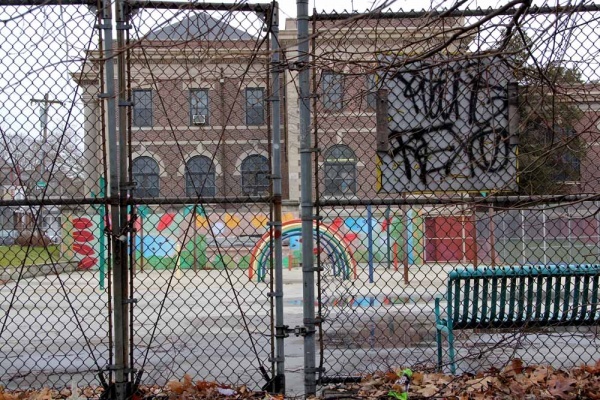 Conversations with kids in both shuttered and receiving schools. A detailed analysis of how student commutes are likely to change. Training for teachers on how to report signs of trouble. Increased communications between school officials, police, and community leaders. And outreach to respected neighborhood “old heads” who can help hammer out truces. It’s not just the Northwest. 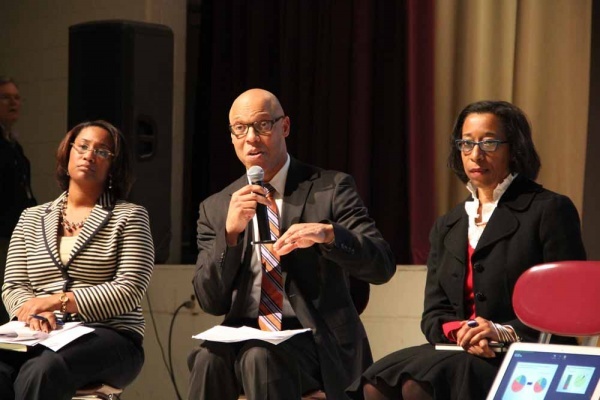 In early January, almost 1,000 people turned out to a public forum on the District’s plan to close 12 North Philly schools, including Strawberry Mansion High. Similar arguments have been made at forums in South Philly, West Philly, and the Southwest. Superintendent Hite has responded by pointing out that more than half of the city’s high school students already leave their neighborhoods to attend school. He’s promised detailed safety plans, extra transportation, safe corridors, and conflict resolution programs. Hall has a similar fear. “All I see is the possibility of someone getting killed,” he said. If that happens, says Kelley Hodge, the already frayed relationship between the District and city parents may snap. Like Aziz, Hall, and Murphy, Hodge says she wasn’t consulted on the district’s school-closings plan. She hasn’t been invited to participate in safety planning. Every day, though, Hodge hears from Philadelphia families. She says they’re scared mass closings will worsen the already pervasive violence in city schools, and they’re worried that their warnings are falling on deaf ears. This article appears in the February 2013 edition of the Public School Notebook, “A downsizing district.” The free Notebook print edition will be available the week of Feb. 4 at all Philadelphia public schools, library branches, and other community sites. WHYY partners with The Public School Notebook on coverage of the Philadelphia Schools.